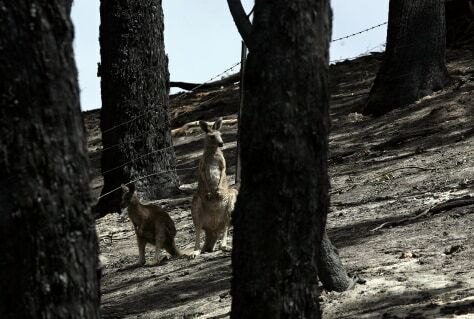 Two kangaroos survived a fire near Healesville, Australia. Wildlife officials say some have burned feet. After escaping the flames, the animals — which prefer to stay in one area — likely circled back, singeing their feet on the smoldering ground.